You know what's on the news in China these days? That bat-crazy rumor that someone "stole" their Buddha statue and exhibited it in the Drents Museum in the Netherlands. When did they start saying that? 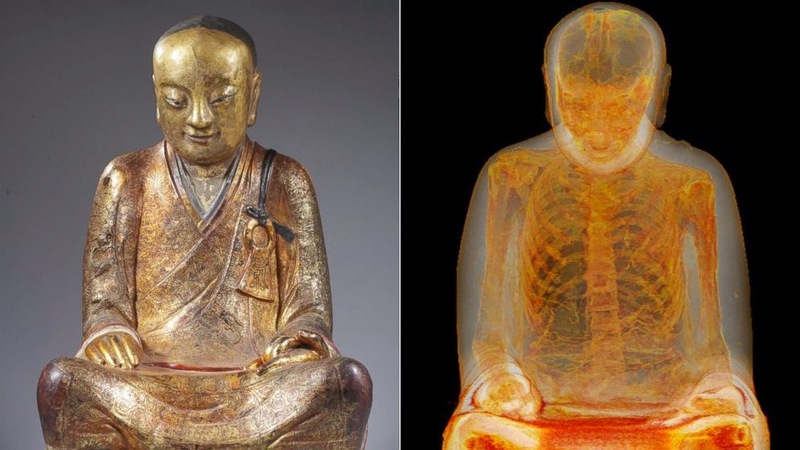 After the Dutch scientists in the Meander Medical Center in Amersfoort had discovered how precious the statue is, that there is a mummified Chinese monk, Liquan, in it! Soon after this story went viral, the Chinese had an eye on it, and claimed this statue was stolen from a temple in the Yangchun Village in its Fujian Province. It started hyping this rumor with its propaganda machine by showing its people the lower half of the following pictures. 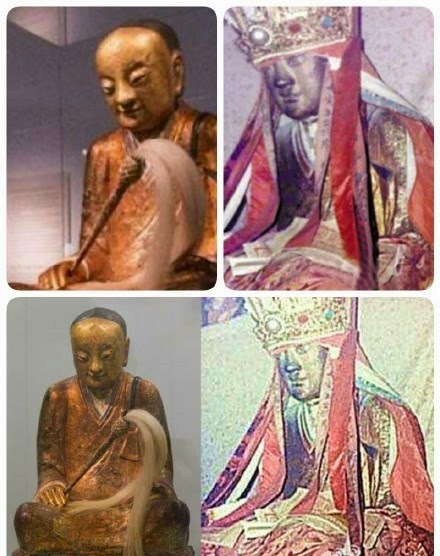 As anyone can clearly see, the upper pictures, which are the real pictures of the statues, look totally different. the shape of the eyes, nose, and lips are all different. But the Chinese media Photoshopped the statue in China to make it kind of impossible to do a clear comparison in order to find an excuse to "redeem" the statue from the Dutch. Crazy, right? If you buy too many cheap useless things from an industrial giant, it can turn into a monster and swallow you. The solution really is not take take advantage of the sale and stop buying useless things made in China. Why do Western people buy so many cheap clothes and shoes made in China really? That's why I don't go shopping.